For a whole millennium, Uzgen was an important transit point for various travelers and adventurers, hunters for oriental spices, and in the middle of the 11th century the Karakhanids (a Turkic dynasty that reigned in 840-1212) founded one of their capitals here. The Karakhanid state was one of the most powerful in the medieval East, and Uzgen was the center of commerce, construction and crafts. New cities appeared near Uzgen. 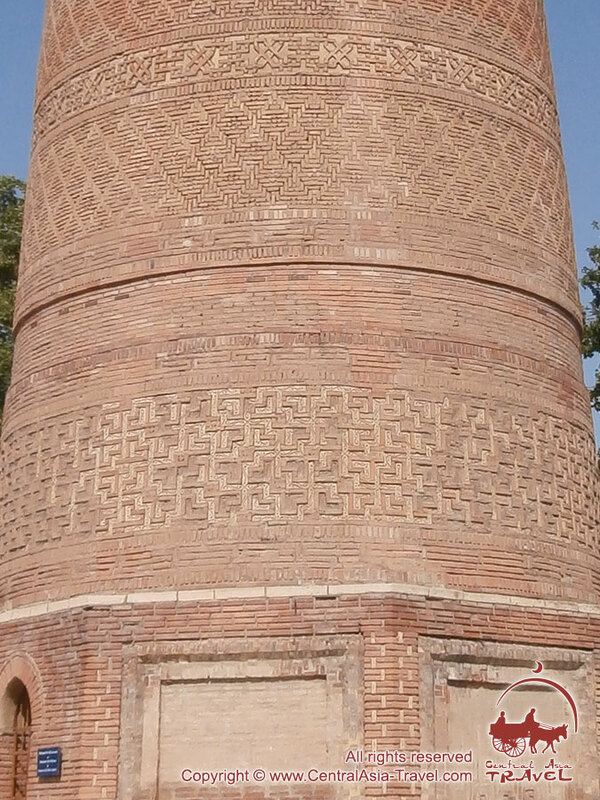 This is the legendary Balasagun, known for its Burana settlement, the name of which comes from the Burana Tower - a very peculiar piece of Eastern medieval architecture. 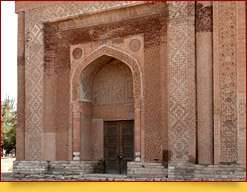 Unique historical and cultural monuments are located in Uzgen: minaret, mosques, madrasas, mausoleum, fortresses ruins, ancient mazars (necropolis). The architectural complex of Uzgen is depicted on the 50 soms national bill of Kyrgyzstan. 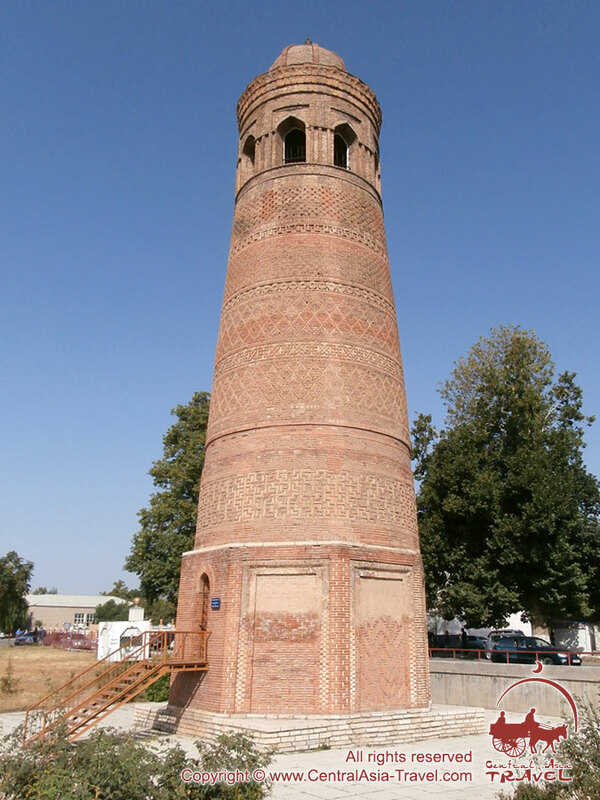 The Uzgen minaret, 27.5 m high dates to the beginning of the 12th century, when the city was the Karakhanid state’s capital and resembled the famous Burana Tower. It also consists of three parts: an octahedral base from below, about 5 m high; the middle part is a tapering cylinder; the upper part - a lantern with a dome and windows in the form of arches, built on in 1923-1924. 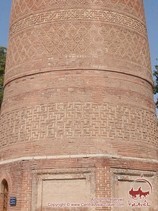 The Uzgen minaret is made of various burnt bricks laid in several ornamental belts in openwork masonry. 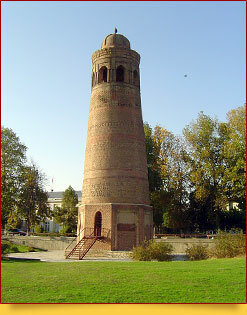 The ornament of the Uzgen minaret is more complex than that on Burana Tower. Climbing the spiral staircase inside the minaret is the same as wandering in the dark. Light from the two narrow windows on the east and west sides is not enough. Of course, in Uzgen the mausoleums of the Karakhanids also attract our attention. 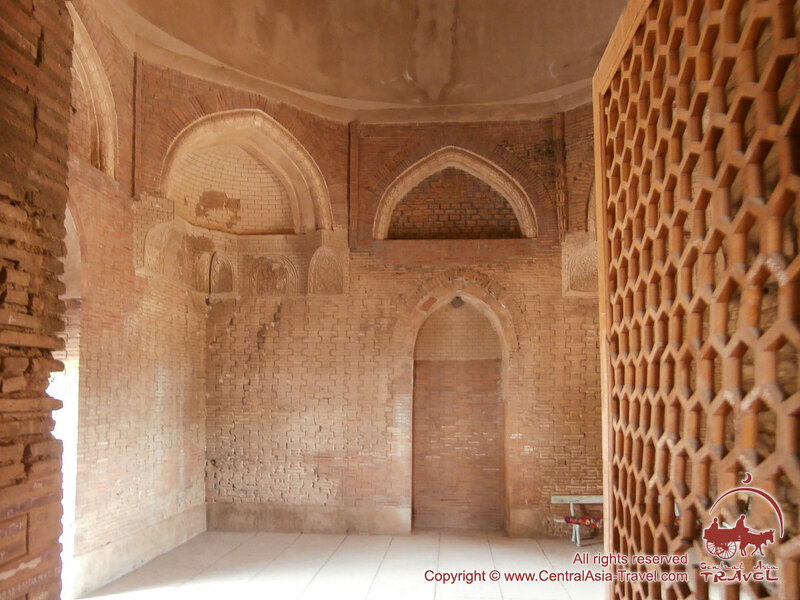 The northern mausoleum was built in 1152, the southern - in 1187. The older, medium-sized square-shaped mausoleum, constructed in the X-XI centuries, once bore the dome. The facades of all three mausoleums face south-west, forming one square. In the south, the area ends with the Kara-Darya river, and in the south-west, it passes into the ancient necropolis of the 13th-14th centuries. 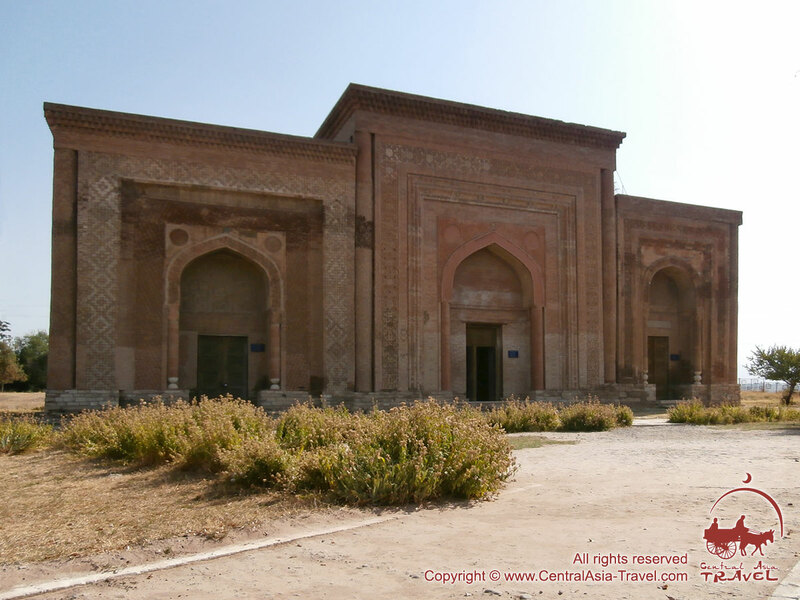 The northern mausoleum, as locals believe, is the tomb for Sultan Sanjar-Mazi (a descendant of Jagatay - the second son of Genghis Khan) or Sultan Ilchi-Mazi (a descendant of Babur's followers). The middle one is a burial of Sultan’s mother. 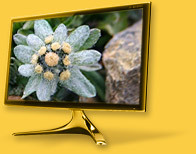 However, there is another version. It is possible that the legendary Klych-Burkhan Khan with his father and mother were buried in the ancient mazars. Klych-Burkhan-Khan, or "Uzgen Herakles» as people called him, is a legendary hero that allegedly saved the inhabitants from the dragon devouring the young girls and boys of the unfortunate country. However, legends and local beliefs do not coincide with scientific facts. 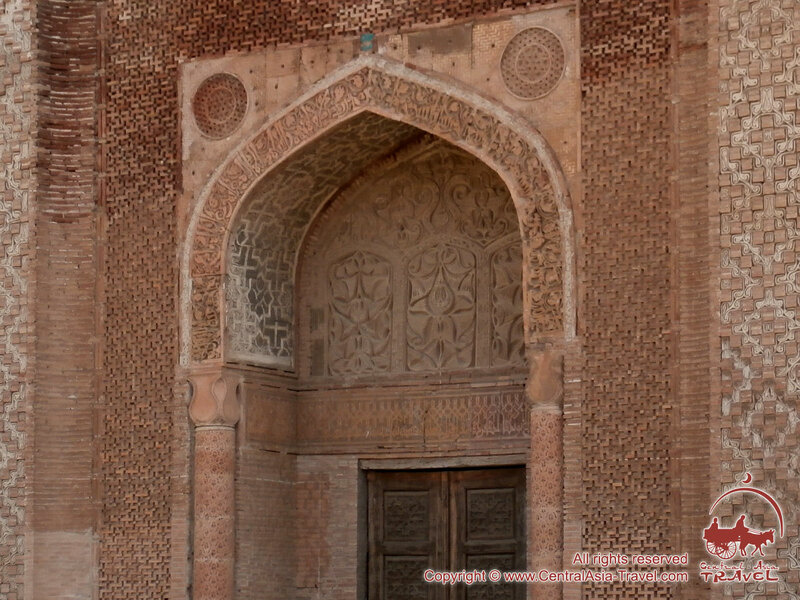 Specialists deciphered the mausoleums inscriptions. It turned out that one of the Karakhanids was buried in the north one, so the mausoleum was set in honor of “the member of the Ilek dynasty of Tugrul Kara Kara Hakayn Khusein, son of Hasan, son of Ali, who died on the day of Wednesday, the fourth month of 547 year of Hijra”. Another Karakhanid was buried 35 years later in the southern mausoleum. 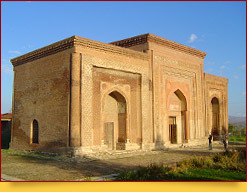 Some rulers of the Karakhanids retained their inheritance for many more years. Nevertheless, by 1217, all of them were deposed and executed by Khorezm-shah (dynasty of medieval governors who were originally from Khorezm). 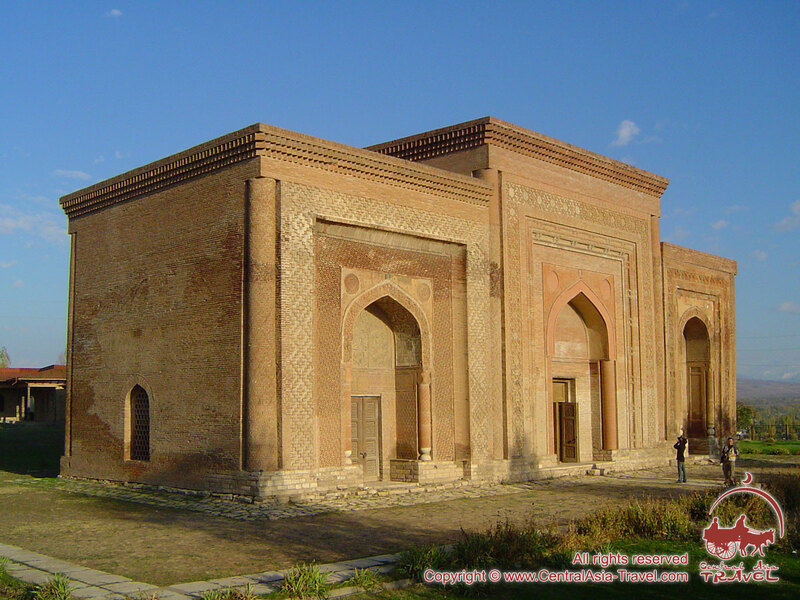 Later, Uzgen was a province of the Russian Empire and a part of the Andijan region. 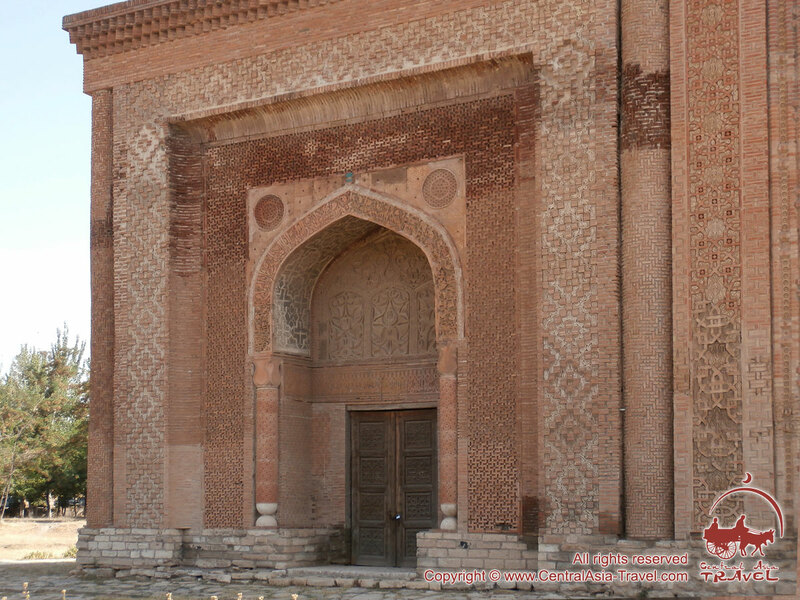 Now it is an architectural and historical monument of Kyrgyzstan. Not far from Uzgen, there is “Kara-Shoro” mineral spring and the cognominal resort area, as well as the “Salam Alik” tourist center.